I work primarily with German and Turkish speakers. Now I am going to talk about some of the common errors that I have noticed when working with my Turkish students. Hopefully these tips will be useful for my other Turkish readers. There is a lot that can be said about definite and indefinite articles (“the”, “a” or “an”), but my point here is that they are sometimes necessary in English whereas they would not be necessary in the same sentence in Turkish. Öğretmen öğrencilerin ödevlerini düzeltti = _The_ teacher corrected _the_ students’ homework. Otobüs durağında uzun zaman bekledim = I waited _a_ long time at the bus stop. English people who are learning Turkish make mistakes with these sentences too but if you are using a word like “nobody”,, the verb has to be positive. Hiç kimse gelmedi = nobody came. “nobody didn’t come” is incorrect. Hiçbir şey yemedim = I didn’t eat anything. Although the same suffix is used in all three of the above cases in Turkish, in English you have to learn the appropriate preposition in each case. Sometimes the prepositions are illogical. For example we can be in the car but we have to be on the train or on the bus, even though we travel inside and not on top of the train and the bus. You can come across things, but you can’t come across with them. You can get married to someone and afterwards you are married to them but you can’t say that you are married with them. You can be scared of snakes and hate bad weather! However the word “from” isn’t used in either of these sentences. There are too many people outside. Do you really need so many handbags? He has won many awards. You shouldn’t spend so much time on Facebook! Do you always take so much luggage with you on holiday? I won’t give you an example of these but I’ve seen plenty of them and excessively long sentences make a piece of writing difficult to read, particularly when there are no commas to separate the clauses. Of course this habit is not only something that Turkish speakers do but I’ve included it here because the point has come up on a number of occasions when I’ve been helping my Turkish students to adapt their texts because the texts were confusing as a result of rambling sentences. I spent all my money on clothes and shoes! You can spend your money at the supermarket, on holiday (while you are on holiday), in the shop or on a new car (you bought a new car) – but you can’t spend it for something. 10. Listen to me! I told them a story! You can listen to your friend and you can listen to music. Or maybe you want to listen to the rain. In each of these sentences, you need the word “to”. You can’t listen the television. You can tell a joke, tell the truth or tell someone what you did at the weekend. But you don’t tell anything _to_ them. Although I don’t understand a word of Turkish I found this article useful! Thank you very much for your help, Kirsty! 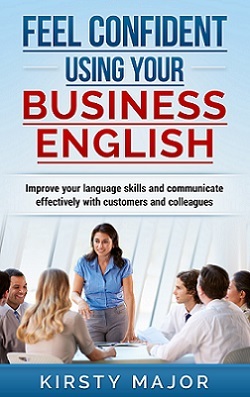 I often read texts in English to improve my knowledge and those tips also come in helpful. I agree. Whilst some of the tips are only relevant to Turkish speakers, some of them are more general. For example I often correct sentences where there are errors in relation to “much” and “many”. I know that you are committed to improving your English and I am glad to hear that this post was useful. A friend of mine speaks Turkish and I learned a few words with her when we went to school together – but I have forgotten all of them… What a pity…. Yes, French was my first additional language at school and it was one of my best subjects! However, I haven’t used it since leaving school and now I have forgotten everything – the vocabulary as well as the grammar rules. If you want to learn another language, you need to invest time and effort in the learning process and you need to practise what you have learned. Otherwise you will not retain the information.